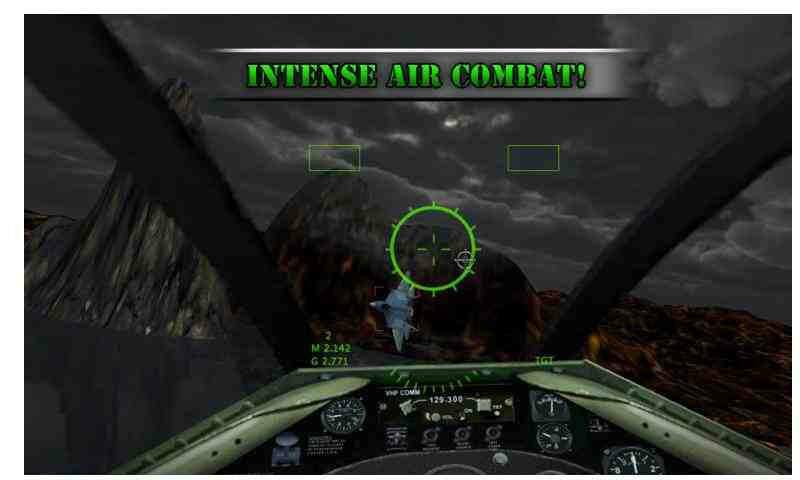 This air combat sim game lets you fly a heavily armed and dangerous strike helicopter. This Apache heli is very agile and armed to the teeth with a 30mm canon and remote controlled rockets. 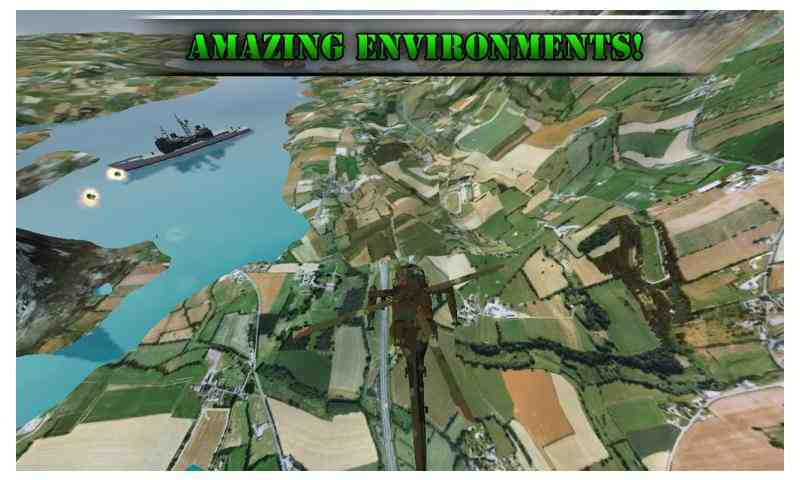 Can you defeat the naval warship threat? 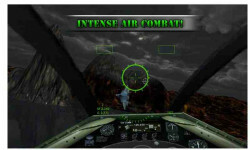 Anti air fire smoke clouds the sky as you are hunting enemy warplanes in your deadly attack helicopter. Use your skill to home in on enemy aircraft and shoot them out of the sky with your mounted guns or array of RC missiles. 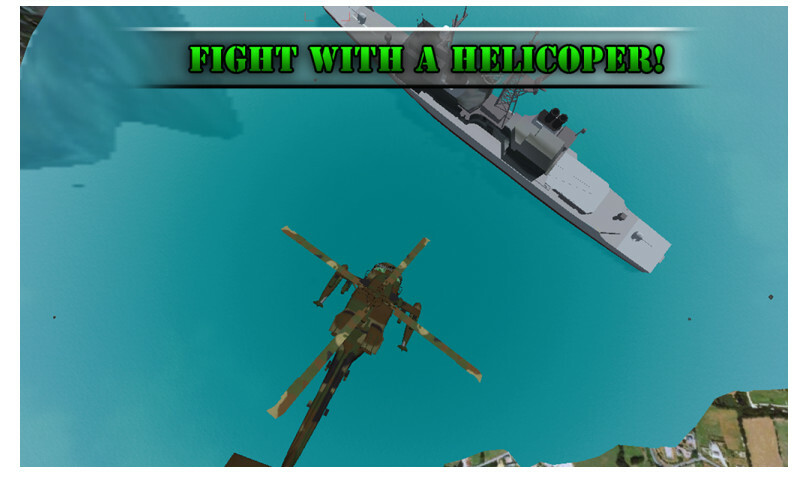 Avoid the heavy anti air fire coming from the enemy navy vessels. Destroy the warship’s flak canons while you dodge incoming projectiles. 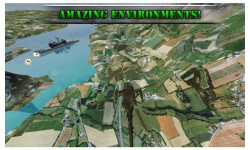 Use your aerial acrobatic skills and stealth capabilities to save the world. CONTROLS The first thing you need to learn is to fly it, otherwise you are screwed even before the battle begins. The game uses a virtual control stick that allows you to dive and elevate. Press up to go down and down to go up, just like a real fighter chopper.